LakersGround.net :: View topic - Who is going to get the 15th slot? Who is going to get the 15th slot? Wear and Caruso on their 2-ways for the first half of the season as the “15th men”. Bring them up on long road trips or injuries. I’m hoping for Ariza as a Phoenix buyout but that’s pipe. Unless a favorable trade comes along and they need the extra slot, just keep it open. Give SVI more minutes if you’re trying to fill them. Talent and fit wise he makes sense, but health wise he shouldn’t come back unless he is cleared. On yesterday's "Evening with the Lakers" they said that they were just planning to leave it open in case there was an injury. It's been said that men have 2 reasons for doing things, a good reason, and a real reason. There's depth at every position. ESPN 710 yesterday bought up J.R. Smith as a option, although I don’t think LeBron would want him. I don't think he'd be an option due to the surplus of guards/wings they already have, but otherwise, I have little doubt that LeBron would be happy if he made his way here. 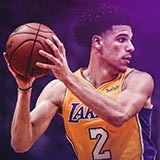 If by some reason they signed him it will be because they need another reliable 3pt option and even though he can really brick it, he can really get hot from the 3pt line which perhaps can come in handy if we need to make a comeback in a game, but I can see why the Lakers will pass on him. If by some reason they signed him it will be because they need another guy known to score and is perhaps more reliable at the 3pt line. Looking at the wings/guards he is more established at shooting the 3 ball then Svi/Lance, although Svi is more of a pure scorer and shooter, he might need some time to get the 3pt ball going. We're way deep at every position except center. I agree with the idea we keep it open and see if any needs arise as the season unfolds. I think we are lacking one big role. Reading this thread just makes me so happy. We have so much flexibility! Cap space, roster space, you name it. J.R. Smith might not be a combo guard but he seems to have similar skill attributes, not a good passer like Evans though. What makes that a need? 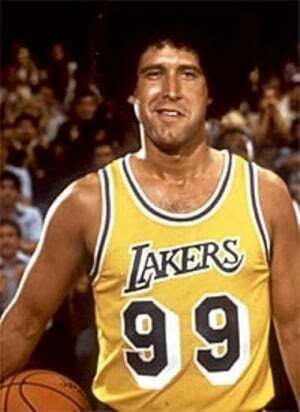 If we signed him then is Rondo still a Laker? Would we then need PG depth? I thought he signed with the Celtics? You will see this season why we need a combo scoring guard.